Mobility is now at the centre of a highly disruptive technological revolution. The ability to compete today is the domain of those who are capable in the short- and medium-term not just to reinvent their products to address new customer experience paradigms, but also to conceive new ways of producing them. In other words, this revolution encompasses both products and manufacturing processes. Automakers need to innovate in ways that are both revolutionary and sustainable. Being revolutionary means further accelerating the innovation process by opening it up to new contributors and agents of change such as employees, customers and external partners. At the same time, that process must be sustainable, guided by the concept of a circular economy where flexible manufacturing systems allow a more intelligent use of materials and resources that can be tracked and re-used, rather than just consumed. FCA is already creating the right conditions and environment for this new era of innovation, digitalization and automation. The formula for the future is called Industry 4.0 (I4.0), and FCA is already there with its company-specific ‘combination of things’. The ability to deliver innovative, high-quality cars depends on the ability to ‘think premium’ for customers while ‘building premium’ with workers across vehicle segments. – accelerating the paradigm shift in terms of worker skills and mindset. FCA has recently implemented a new approach to manufacturing through the redesign of plants as “digital factories” based on the integrated modular factory model. 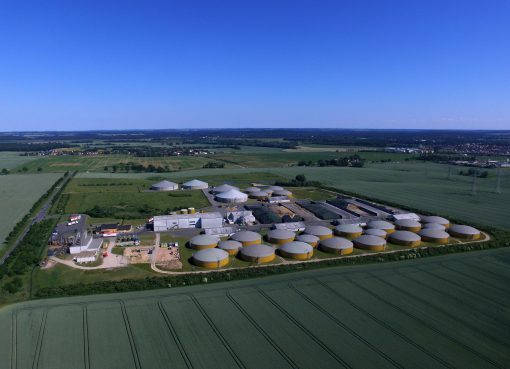 A completely new Information and Communication Technology (ICT) infrastructure, developed with different technological partners, known as the New Plant Landscape (NPL), has already been deployed at major FCA plants worldwide. NPL employs advanced ICT solutions to help achieve high standards of quality in manufacturing and assembly processes. – improved logistics and optimized layout of the production line, saving space and reducing the plant’s overall carbon footprint. Operators during the assembly stage have direct access to real time manufacturing data through wearable devices. In other words, NPL enables FCA plants to take advantage of so-called ‘Digital Twins’. Digital Twins means that data from sensors installed on physical objects are used to represent their near real-time status, working condition or position through digital simulation. Pairing the virtual and physical worlds enables predictive maintenance through analysis of manufacturing data and monitoring of systems to avoid issues before they occur, preventing downtime and boosting development of new opportunities by using simulations. One of FCA’s most advanced examples today is the Cassino assembly plant in Italy, where the Alfa Romeo Giulia and Alfa Romeo Stelvio are manufactured. The Cassino plant figures speak for themselves: over 11,000 part numbers, an automation level assured by more than 1,400 robots, and more than 6,000 connected devices including smartphones and smartwatches that connect the worker to the interconnected experience of manufacturing a vehicle. The plant offers high standards of efficiency, workforce ergonomics and eco-sustainability. It has sent zero industrial waste to landfill since 2000. 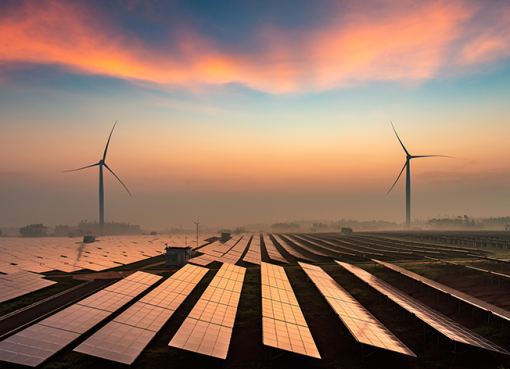 It has a zero-carbon footprint: 100 per cent of electricity used in industrial processes comes from renewable sources, including on-site solar power generation. The plant also plans to be fully self-sufficient in terms of water usage; through innovations such as dry scrubbing technology, in the paint shop zero water is withdrawn from local resources for industrial purposes. The need for flexible manufacturing is addressed within the I4.0 approach through another technology that FCA uses to create on-demand parts for prototyping: industrial 3D printing, also referred to as Additive Manufacturing. Compared with conventional manufacturing, where machining is subtractive, meaning that material is gradually removed in shaping a component, this technology shapes them by adding layers of material. – significantly reduces material use, waste generation and energy consumption associated with these activities. ‘Less is better’ is not simply a lifestyle trend that is becoming increasingly relevant for customers – and millennials, in particular. It is becoming the [central] paradigm for the hard manufacturing industry as well. The adoption of 3D printing is a clear example of an innovation that is revolutionary and sustainable at the same time. In recent years, FCA has continued to develop its know-how and technological capabilities in this area. The Mirafiori plant in Turin, Italy, hosts the FCA Center of Competence for Additive Manufacturing that supports product development from design to testing, with a total of more than 14,000 components produced in 2016. The Center works closely with Italian and international universities and experts to spread the technical know-how globally across the Group. This technology was applied for the creation of a few thousand prototype parts during development of the Alfa Romeo Giulia. At the heart of this FCA approach is the concept that collaboration between humans and technology can unlock opportunities in terms of efficiencies, ergonomics, quality and the empowerment of employees. Collaborative Robots are the newcomers in the current era of industrial automation. FCA is exploring various areas which demonstrate that humans and robots and can work together in the same space, and interact seamlessly during the various stages of production, particularly during assembly. 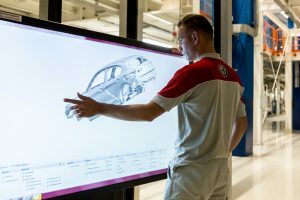 One of the most recent advances in technological excellence at FCA is the Advanced Use Robotic Arm (“AURA”), the collaborative robot engineered by COMAU, an FCA company, and launched in 2017. AURA can detect the proximity of a human collaborator – or of any other component in the automation process – as well as actual contact and the level of intensity. AURA is inspired by typical human interactions. 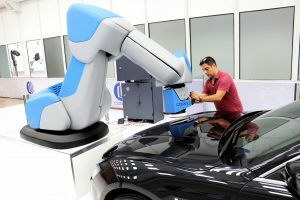 With this Industry 4.0 solution, FCA is the only automaker whose in-house automation company has succeeded in developing a unique collaborative robot (COBOT) solution with the highest payload in the market. COBOTs such as AURA can contribute to the Industrial Internet of Things (IIOT), which is a key element in Industry 4.0. In fact, sensors installed on collaborative robots enable the acquisition of data that can be used to perform virtual simulations and improve process accuracy and predictive maintenance. FCA is at the forefront in supporting the development and spread of the mindset and know-how necessary to deploy I4.0 by offering extensive training to employees. In addition to imparting internal know-how, FCA collaborates with business schools and universities to prepare the next generation of managers to advance I4.0 solutions in an effective and sustainable way. One such initiative is the “Manufacturing Automation & Digital Transformation” Executive International Master’s programme launched with the support of Comau Academy managers and the ESCP Europe Business School. The implementation of World Class Manufacturing (WCM) at FCA plants worldwide has provided a strong foundation for this progressive transition to a smart factory model. WCM provides specific language for deployment of the concepts of lean, smart and digital production across the Group’s manufacturing operations globally. Examples include the Operator Terminal at each workstation, the Digital Quality Book, e-Cost Deployment and Predictive Maintenance Applications. Aimed first and foremost at improving production processes, it helps improve product quality, which ultimately is fundamental to meeting and even exceeding customer expectations. In place for more than 10 years, WCM is a structured, rigorous and integrated methodology that covers every aspect of the process: from workplace safety to environmental protection, from maintenance to logistics and quality, from people development to process innovation. – both Industry 4.0 and lean production are possible because both management and employees are actively engaged in pursuing process and product innovation. 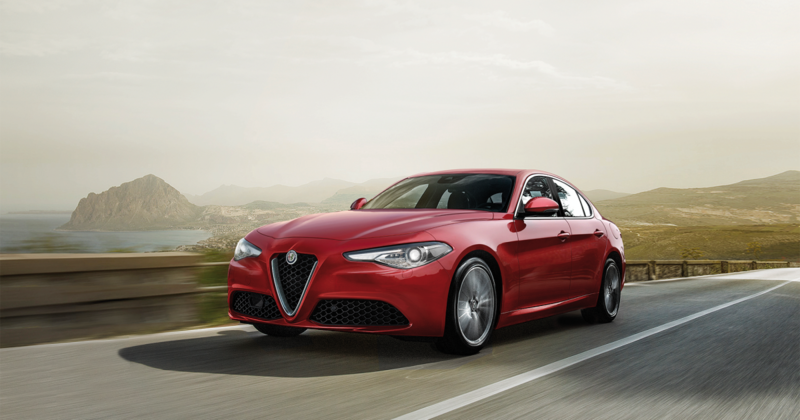 The Alfa Romeo Giulia is one of the most recent examples of how we design and build premium value for our customers. The Alfa Romeo Giulia is a compelling example of the positive impact that industry 4.0 can have on the final product. Before taking to the road, every single Giulia at the Cassino Assembly Plant goes through over 1,000 control checks. This model, launched in 2016, features all the latest cutting-edge technology in safety and infotainment. Every control onboard is clear and intuitive. This puts all the attention of the driver safely on the road and on handling the vehicle. The Giulia combines superior performance and efficiency, delivering improved fuel economy and reduced environmental impact. A selection of recyclable and lightweight materials such as aluminum and polymers is used to minimize the overall environmental impact of the vehicle. The Giulia has an efficient bodyshell which is light and rigid in equal measure, and makes extensive use of ultra-lightweight materials such as carbon-fiber, as noted by the Automotive Circle International, in naming Giulia “EuroCarBody 2016”. The list of main recognitions and awards for the Alfa Romeo Giulia also includes “Best Car 2016” by UK’s Top Gear, “Auto Europa” Award 2017 and “Game Changer” 2017 by Autocar. FCA has transformed the rapid change in technology into an Industry 4.0 business model that connects our plants, our suppliers and our dealers, up to the final customer. This net of people, processes, products and services allows manufacturing data to be transformed into information which then generates smart interactions within all elements of the FCA value chain. We support sustainable innovation through a partnership of man and machine to develop and manufacture mobility solutions for our customers. Looking toward to the future, there are infinite technical connections that can be created and fostered between the people and machines that engineer and manufacture our vehicles and the end driver.